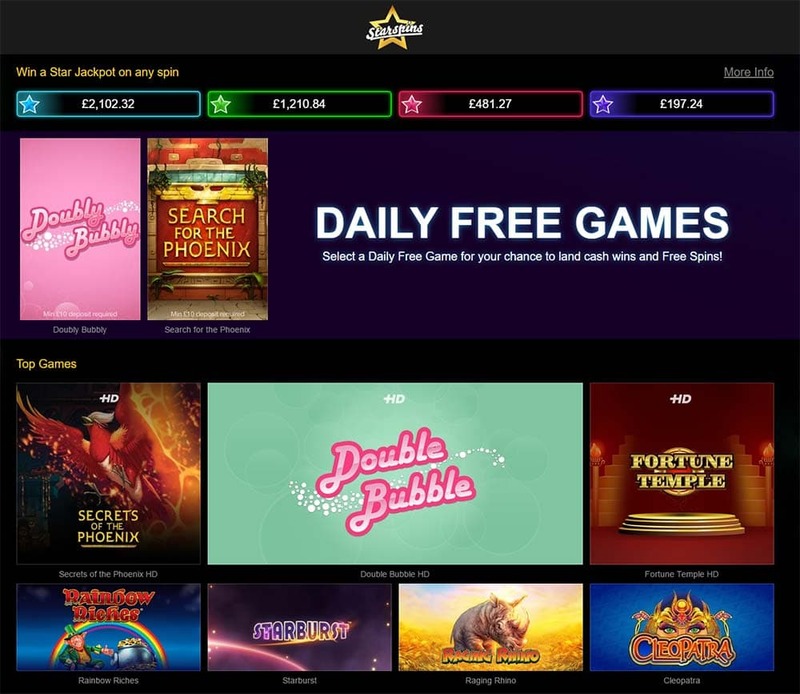 Starspins Casino has just launched a brand new desktop casino in the last few days with lots of good improvements in terms of design, user interface and the general range of slots on offer. 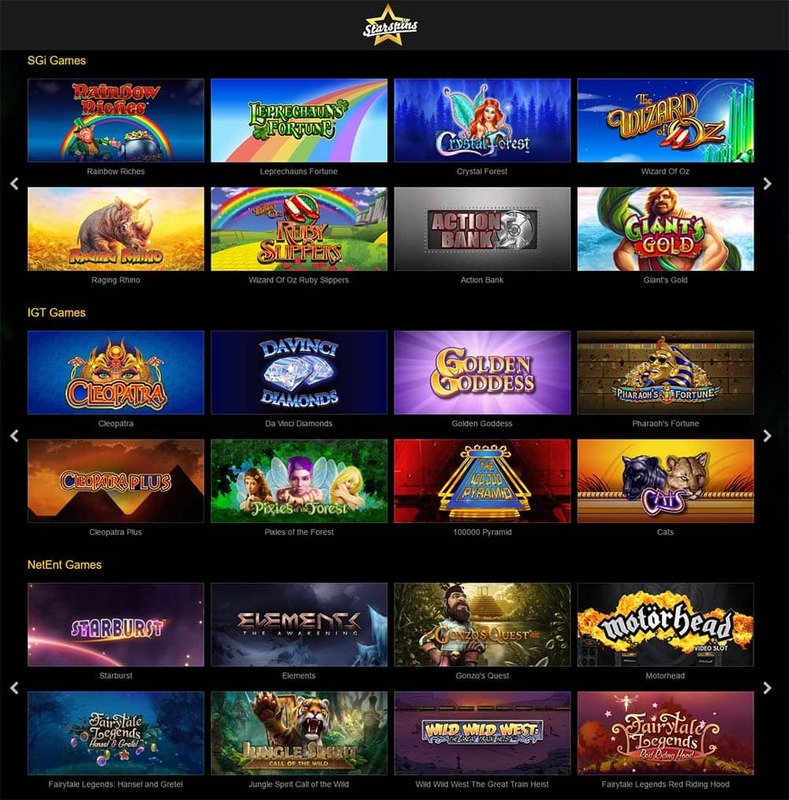 The old desktop casino interface was starting to look a bit outdated and cumbersome, the new desktop version does away with the pop-up lobby style casino and is replaced with a much cleaner and easy to use version with heaps of user interface improvements making it much easier to locate all of your favourite slots and the current casino promotions on offer. 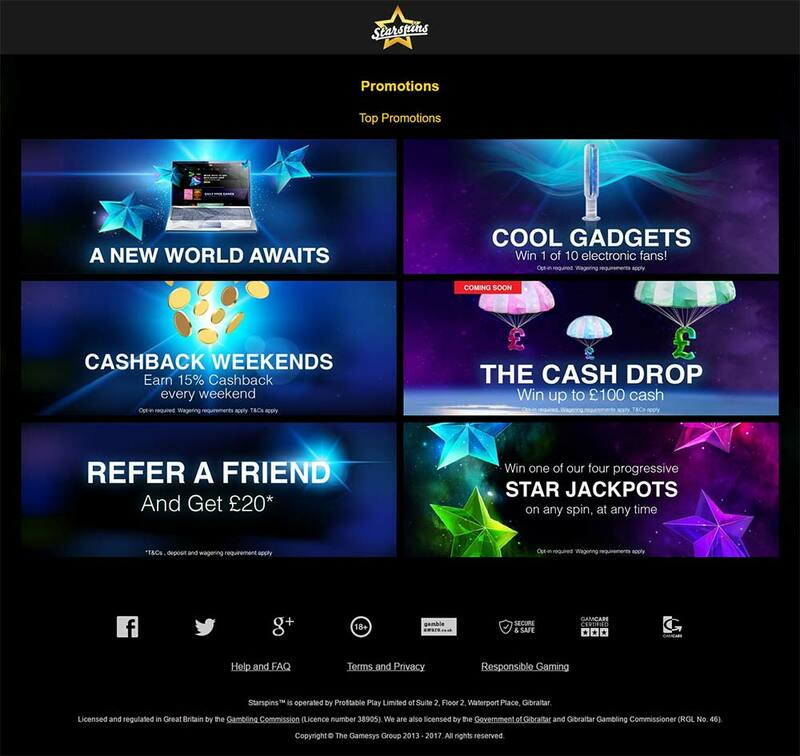 1st Deposit Bonus – 200% up to £100 – Deposit £100 to claim the maximum £200 Bonus. Wagering Requirements are currently 40x the Bonus amount. Play Slots at Starspins Casino now! The Progressive Star Jackpots and Community Jackpots are still present and are much less intrusive when they trigger whilst playing the slots, instead of covering the game screen there is now a small pop-up above the slot where you can choose to watch your progressive jackpot spin, or simply ignore it and be given the result. Along with all of these improvements the slots have also been split up nicely by the provider, so you can easily choose between Gamesys, Williams (SGi), NetEnt, IGT, and Eyecon and several other filtered lists of slots.